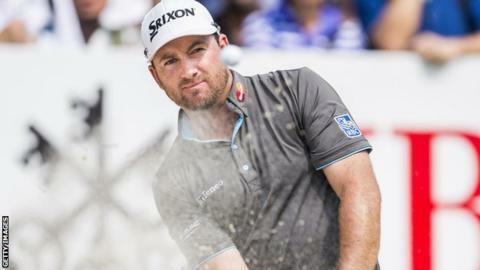 Graeme McDowell is four shots off the pace after the first day of the Hong Kong Open following a four-under par round of 66 in Fanling. The Portrush golfer opened with a bogey five on the first hole but it was his only dropped shot of the day. He fired three birdies before the turn and also birdied the 10th and 17th holes to move to within two shots of leaders Wei-Chih Lu and Andrea Pavan. Waterford's Kevin Phelan is also four under with Padraig Harrington on level. Peter Lawrie had a poor round of 78, finishing on eight over par.